A large portion of my work is drawing comic-style characters from existing persons. It's just so much fun seeing yourself or someone you know in a comic book environment. 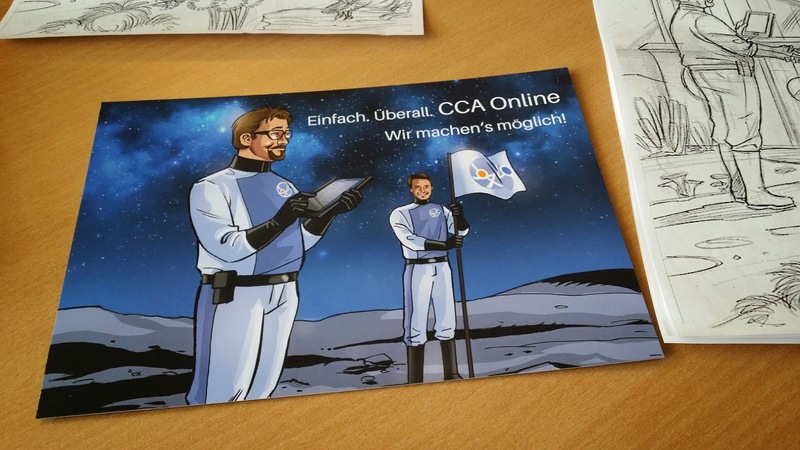 I just completed a series of 4 illustrations for Austria based internet insurance company CAA. The premise was that two employees (pictured below) would be explaining the product in a fictional environment. This is the great appeal of this kind of presentation: Anything is is possible in the wonderful world of comic books. BACK FROM VACATION IN SPACE!